Poster presentations are a key component of any scientific conference. They are an excellent platform for a researcher to present their study to a large audience. Therefore, it is important to prepare the presentation in a way that catches the eye of the people attending the meeting while presenting the key data in an easy to interpret format. This will encourage the audience to engage in an academic discussion, which is vital for the researcher to obtain feedback on their study. 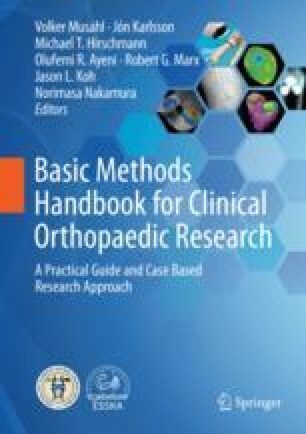 This chapter aims to help orthopedic researchers in preparation and presentation of a scientific poster. After reading this chapter, the reader should know the various different types of poster presentation, be familiar with the technical aspect of how to make their own poster, and understand what to do at the scientific meeting to get the most out of presenting their research in poster format.